Arranging new furniture in your home has never sounded so exciting! Just the very thought of placing your new comfy sofa in its rightful place gives a sensual euphoria on the transformation of your home. Although this so, this task may also seem daunting and overwhelming to some individuals who may not have the experience or the knowledge on how to successfully achieve Feng Shui. Luckily for you, we have some tips on how to do just that! Let’s dive right into some tips on how to arrange furniture for your Living Room and Bedroom. Arranging your furniture in your home is a great way to help you visualize every angle that is aesthetically pleasing to the human eye. One way to perfectly position your furniture is by using a Virtual Furniture Planner. A Virtual Furniture Planner is a great tool that allows you to customize the placement of furniture items in any room. All you do is adjust the appearance of the “template room” and use the settings to conform the “template room” to the room in your home. Using this tool lowers the chance of overlooked measurements, color schemes, and the overall stress of worrying about the “perfect fit”. In the event you cannot get access to a Virtual Furniture Planner, here are some tips to help you acquire maximum Feng Shui in your furniture without the hassle. 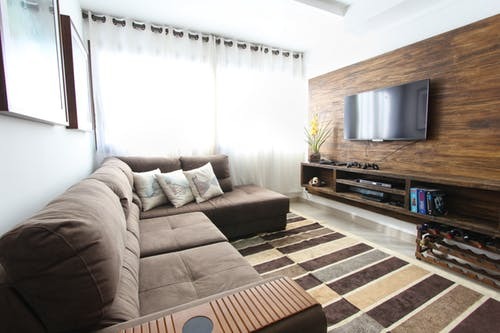 If the space in your living room is considered small, here are three objectives that you should keep in mind when arranging or re-arranging the furniture. Small spaces, in general, diminishes our vision in that area. It is for this reason why adding tall pieces of furniture to a small living room will add visual height thus creating a visual illusion of depth and height to that room. 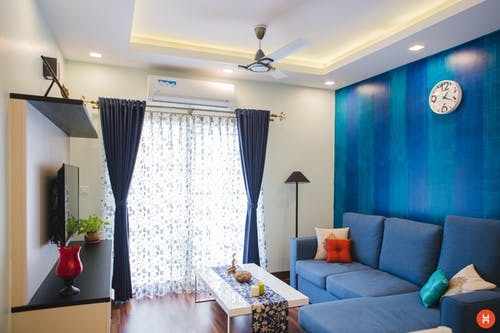 Small living rooms undoubtedly come with limited space, so it is understandable why furnishing a room of minimal magnitude is deemed a difficult task. Worry no longer for the solution is literally a sentence away. When maximizing the space in your small living room, be sure to offset counter pieces and coffee tables in order to open more room in the walkway. Doing this will not only create a fuller and enlightened look in your living room, but it will simultaneously invite a convenience in terms of mobility, comfort, and peace for you and your guests. Decorating goes beyond birthday parties and other celebratory occasions, however, the skills one would use to decorate a graduation party or even a baby shower can also be applied to decorating a small living room. Before decorating, one should recognize the preferred style and appearance that is desired for the living room. Once that is established, the possibilities in terms of decoration are endless. For starters, utilizing mirrors and wall art is the perfect way to minimize naked walls and display expressions of passion throughout the entire living room. If this is done successfully, your living room alone will have your guests mesmerized and in awe of the unity and balance displayed in your home. Furnishing a Large Living Room can be just as overwhelming as furnishing a small living room. Luckily for you, we’ve got you covered. Here are some key objectives to help you furnish your large living room like a boss. One way to successfully accomplish this goal is to arrange your furniture in the front and center of your living room. Doing this will shift the focus of your guests to one place in your living room and leave no room for wandering and confused guests. If you are thinking about auditioning for the role of Aladdin or maybe dreaming about skipping traffic after reading the subtitle, it is with great pleasure to inform you that magic rugs do exist, but not in the way you think. Rugs indeed have the magical ability to bring a large room together which is why using a Large Area Rug is the perfect way to establish the body of your living room. Last, but not least, another thing to enhance the fullness of your living room is to add extra seating and storage along the walls around the living room. For example, you could add an extra chair or even a chair and a half to seat more guests. One could even add an elegant china cabinet to display family heirlooms or any prized pieces of china. No matter the combination you choose, if you follow these objectives accordingly, there is no doubt that your living room will be the talk of the 21st century. Some of you may be wondering about living rooms that are unique in architectural design. Let all your wondering come to an end and look at these helpful objectives that will surely help you get the upper hand in home decoration. 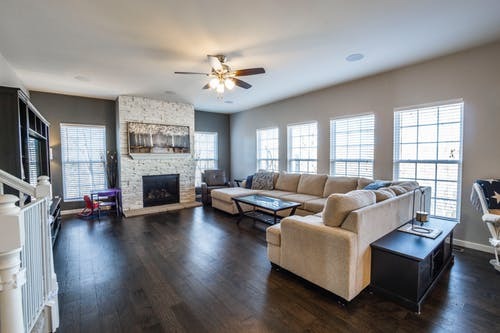 As the subtitle suggests, whenever you arrange furniture for a long and narrow living room, you always want to keep walkable spaces between furniture. One can achieve this by keeping the foot traffic concentrated in one area. This will eliminate awkward maneuvers in motion and will also simplify the flow of traffic all together. One of the most helpful accessories to have in your living room is indeed a fireplace. If you have a fireplace in your living room, you can easily set up seating around the fireplace. Doing this will create that warm, family-friendly environment as you and your guests cozy up and enjoy smores or even story-telling. Even if you do not have a fireplace, all you have to do is choose a focal point in your living room and arrange your furniture around that spot. Applying both tips will make your long and narrow living room visually balanced and family oriented.